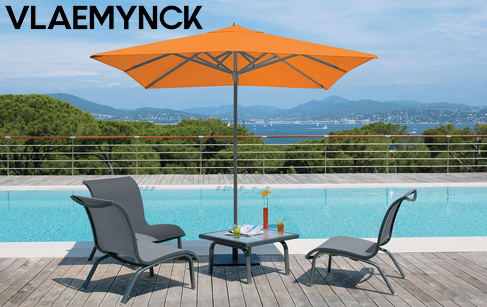 Vlaemynck is a major firm from the world of fabric, bringing its experience to bear on our outdoor world. Its men and women select, cut out patterns, assemble and createYou will find collections of beautiful, welcoming furniture to coordinate with a full range of parasols and cushions. These are pieces that are designed to last, with a selection of the best materials such as teak (certified as coming exclusively from forests managed by the Indonesian state), resin, aluminium and galvanized steel, and solution-dyed fabrics for a great look and incomparable colour-fastness. All this has contributed to Vlaemynck’s renown and made them into a brand that makes all the difference.